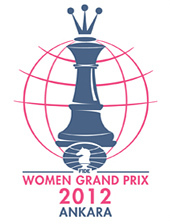 Humpy Koneru became a winner of 6th stage of the FWGP in Ankara and placed second in the overall Grand Prix series after Hou Yifan. The Chinese has already clinched the first place in the overall Grand Prix cycle and is a current World Champion among women. Round eleven was as thrilling as it was expected. 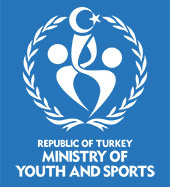 All the attention turned to the games which would identify the winner of Grand Prix in Ankara. Humpy Koneru confidently won against Monika Socko and had to wait for the final outcome of the game between Ruan Lufei and Anna Muzychuk. The victory could have given Slovenian player the second place in the Series but she missed a good chance for advantage and game was drawn. Another important game for the final standings was played between Zhao Xue and Tatiana Kosintseva. A draw guaranteed Zhao Xue the bronze medal in GP in Ankara. Both Turkish players Kubra Ozturk and Betul Yildiz lost in the 11th round to the higher rated Viktorija Cmilyte and Antoaneta Stefanova respectively. Munguntuul Batkhuyag won against Ju Wenjun and finished the tournament with +1. Viktorija went for Dragon Sicilian and managed to get sufficient counterplay, so the game was balanced till the very end and ended up in a draw.